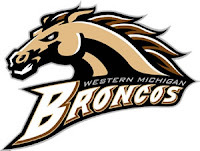 News from LMCU: WMU Football Ticket Giveaway! Are you ready for some football? 150 pairs of prime tickets are up for grabs for the WMU vs. Northern Illinois University game on October 27! Enter online at LMCU.org/Western until October 13. Winners will be notified by email the following week. Enter today!